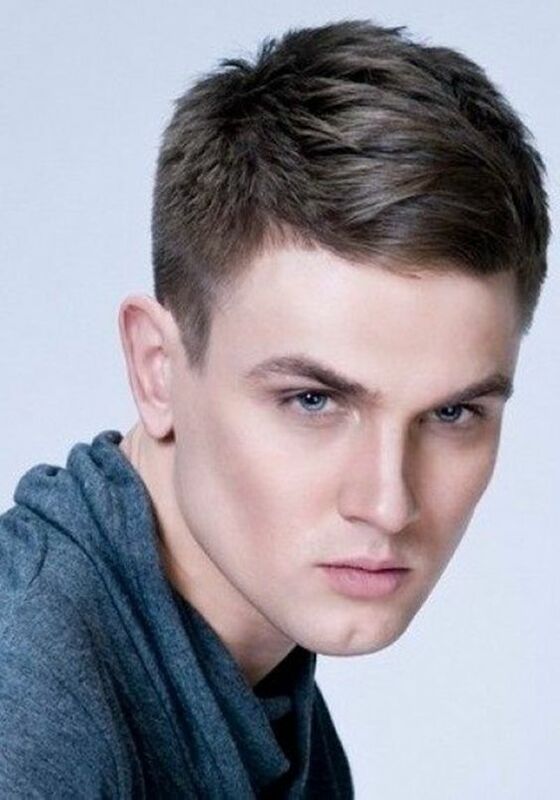 Short sides long top haircut is a style that guys either love or hate. 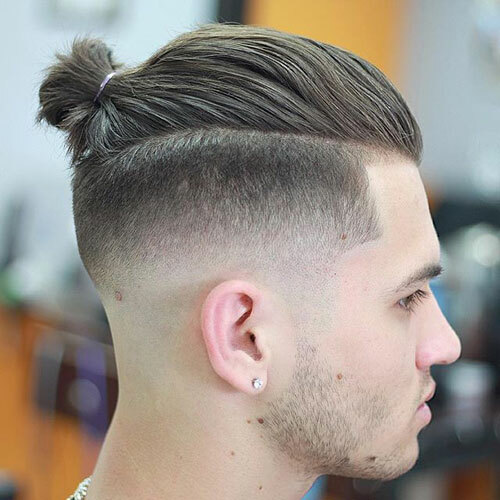 Those who love it will try it with other haircuts while those who hate it would steer clear of this hairstyle whenever they can. What about you? 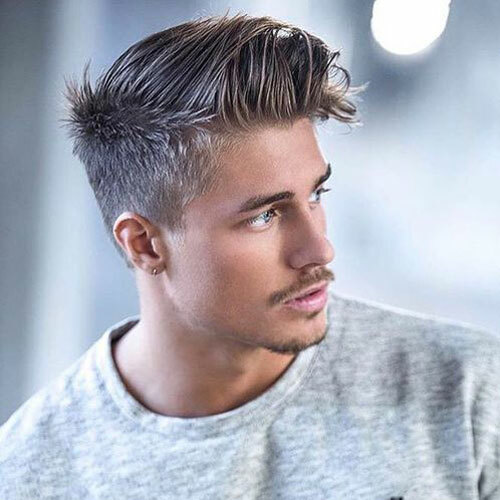 Do you find this hairstyle appealing? If you do, then it is only fitting that you get to know more about it. 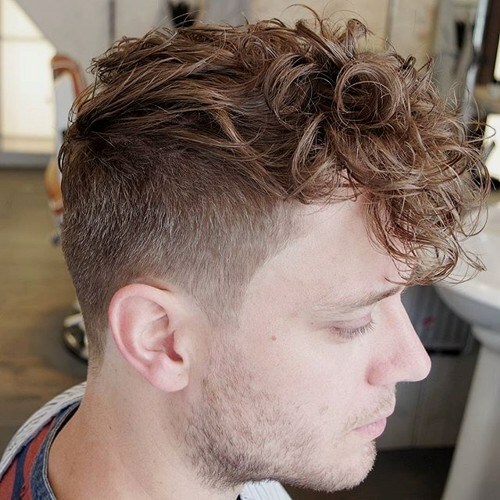 What is the Short Sides Long Top Haircut? 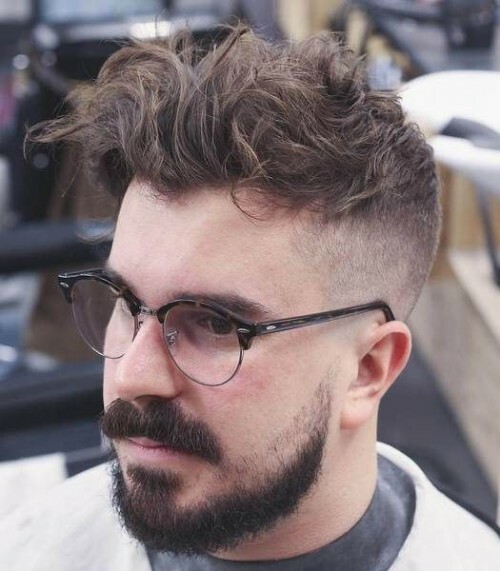 What type of haircut is this? 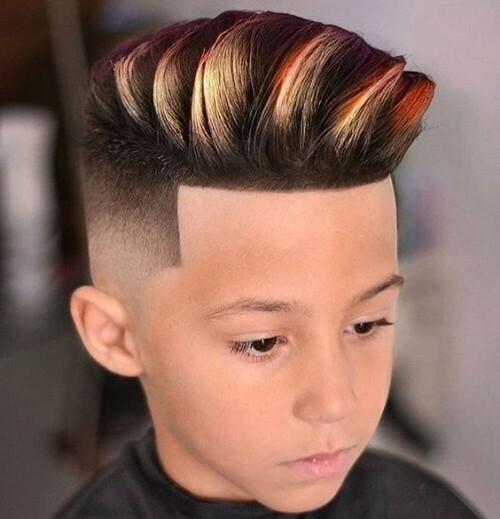 You can already guess from the name itself what this hairstyle represents. 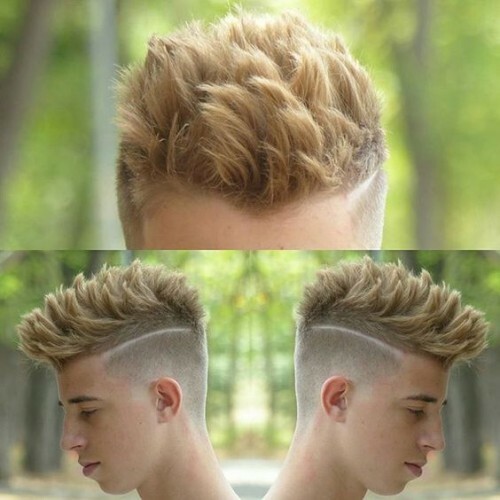 The sides are going to be kept short while the top portion of the hair will stay long. 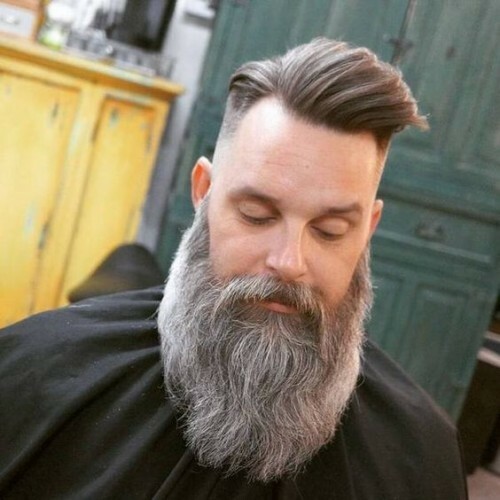 How long the top portion is going to be will depend on you. 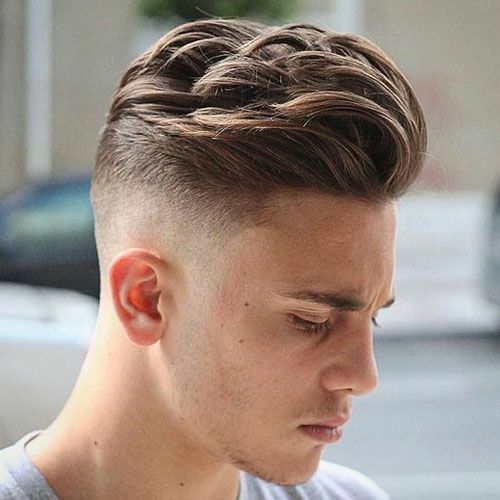 One of the reasons why this haircut is popular amongst modern men is because it can make them effortlessly look cool. 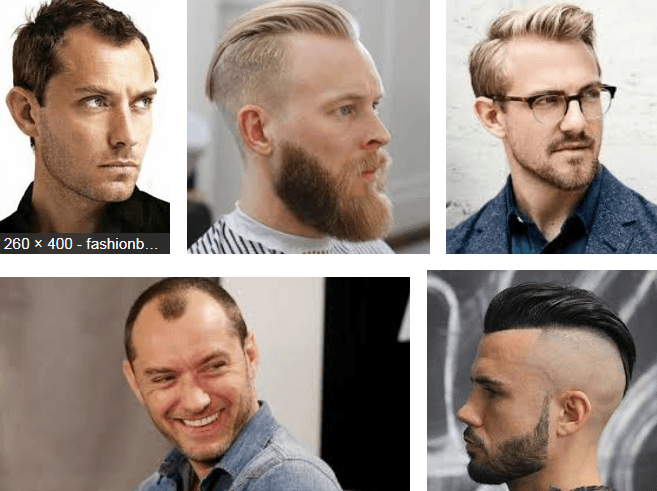 They do not care if they have to spend some time improving their hair’s appearance. 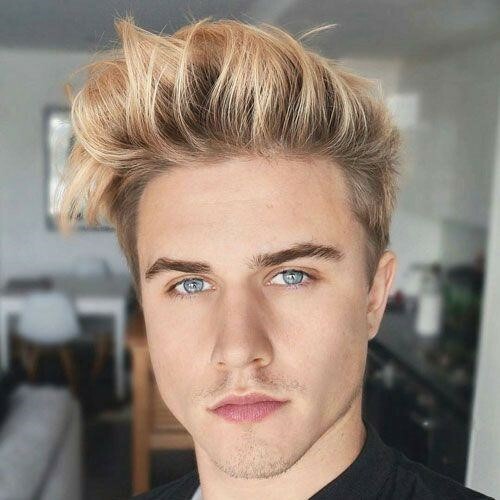 What matters is that they will look amazing. 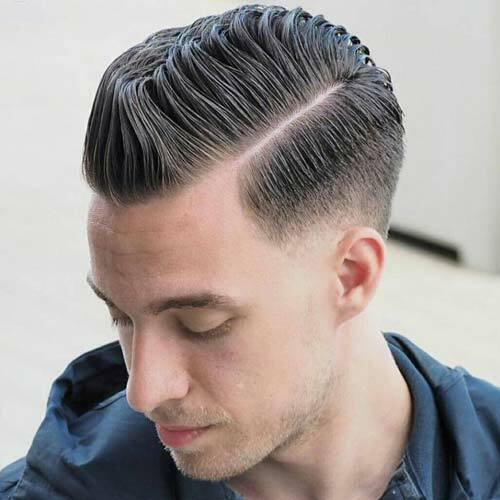 This can also be paired with other hairstyles like the slick back for those who want to look more polished. 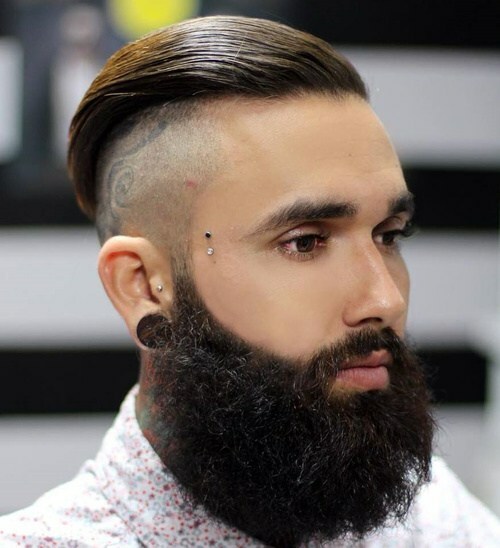 This can be paired with the pompadour for an everyday casual look too. 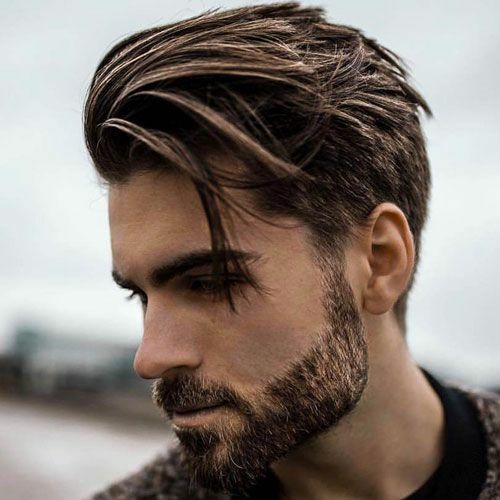 This is the type of hairstyle that will best fit men who would like to accentuate their strong masculine features. 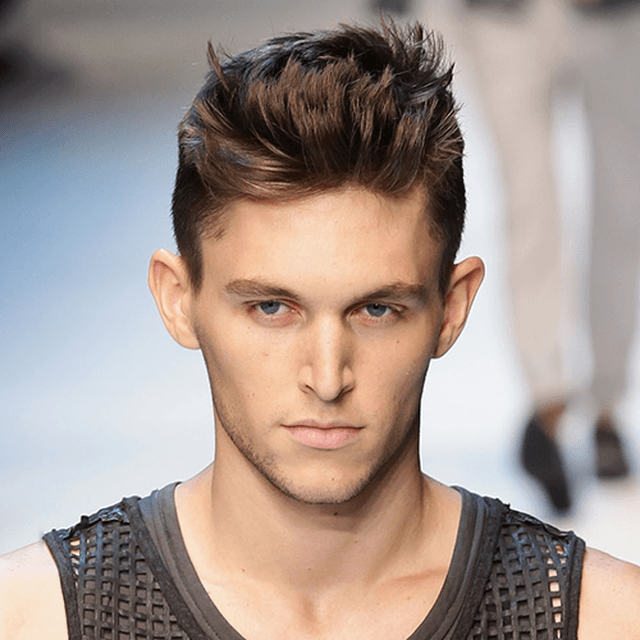 This will fit guys who have strong, angular jaws, and high cheekbones. 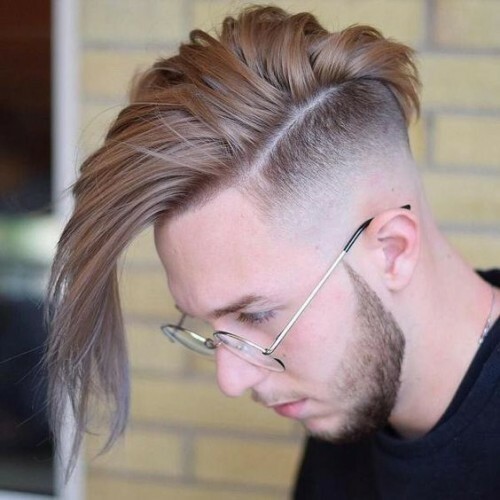 You also have the option to wear this hairstyle no matter what your features are. 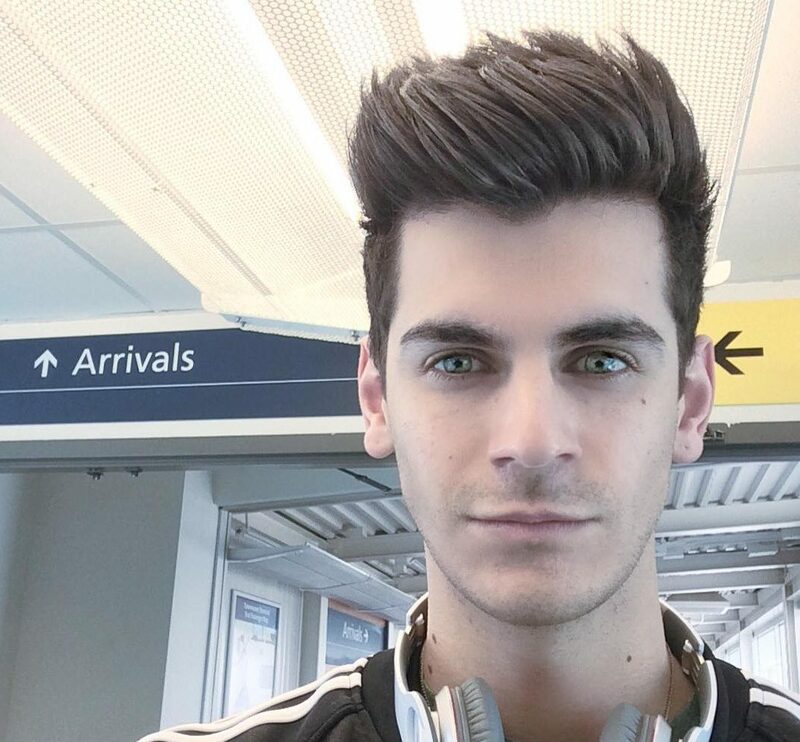 As long as you are confident with it, then you can choose it. 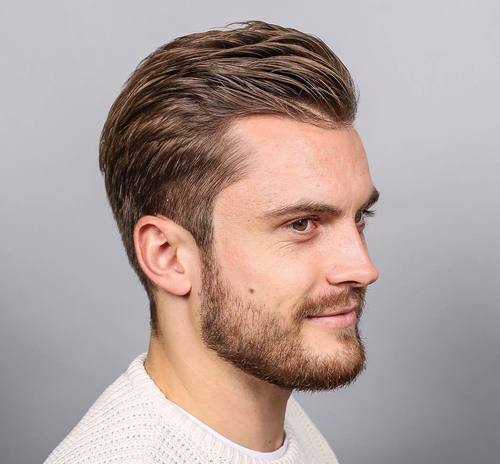 You may need to grow out your hair for a certain period of time before going to the barber to have your hair styled. 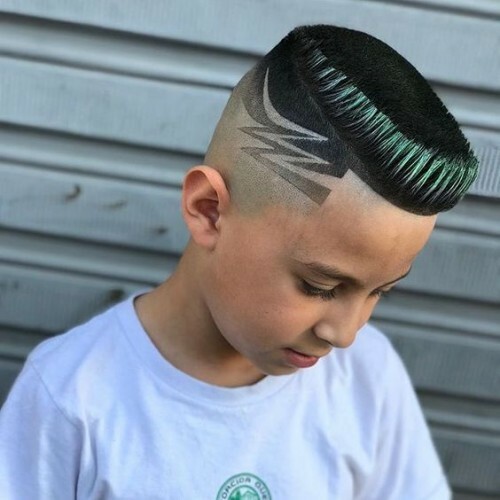 Be specific with the type of haircut that you want. 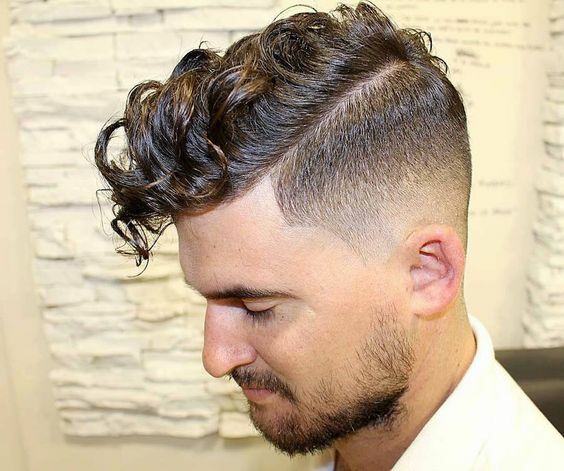 Would you like to get a pompadour with this type of haircut? 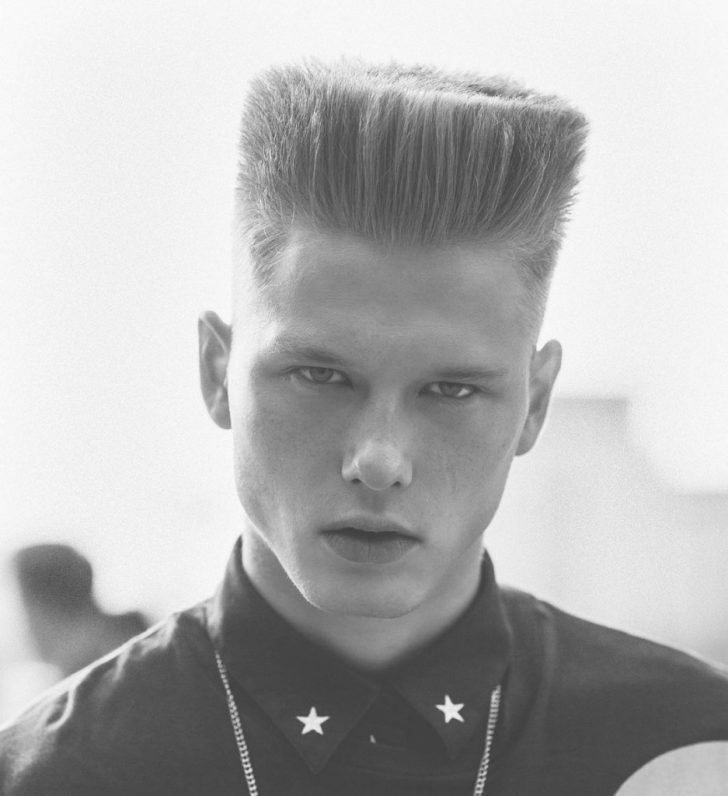 Would you like to have a quiff? 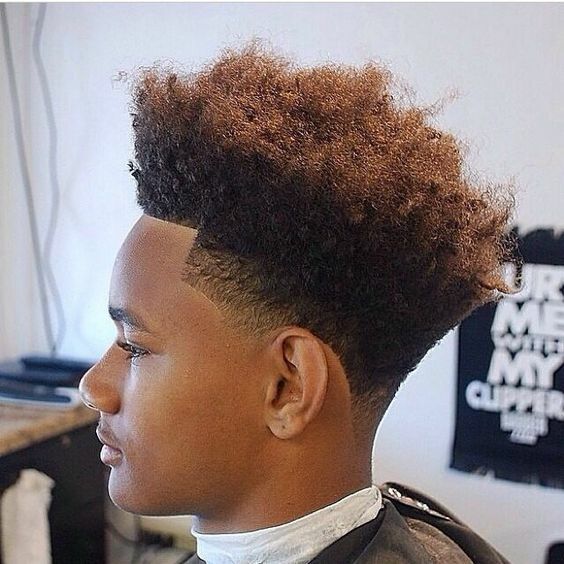 Tell the barber what you want and he will do his best to help you achieve the cut that you want. 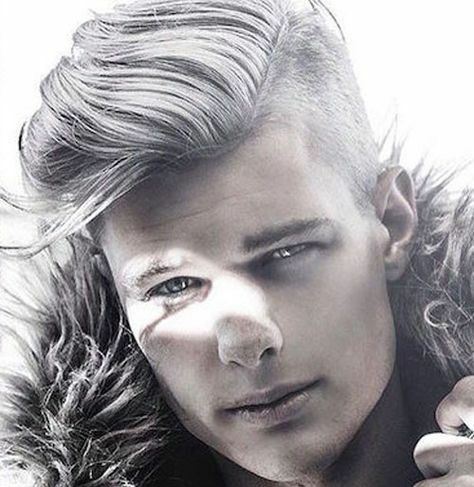 You need to make sure that your hair is wet. 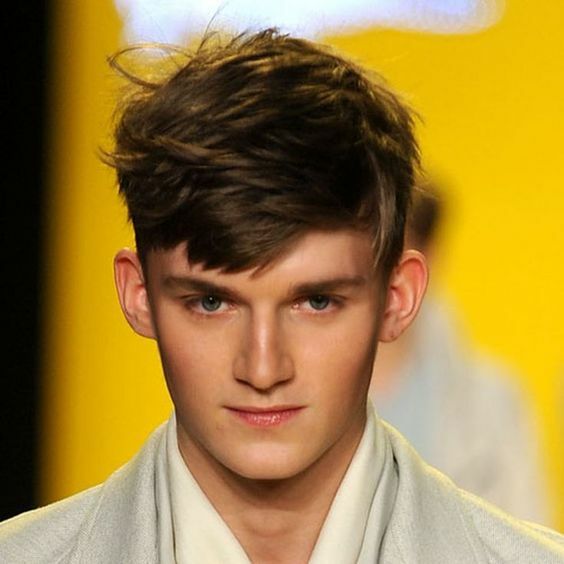 If it is wet from the shower, dry it up a bit with your towel but not too dry as it will already be hard to style. 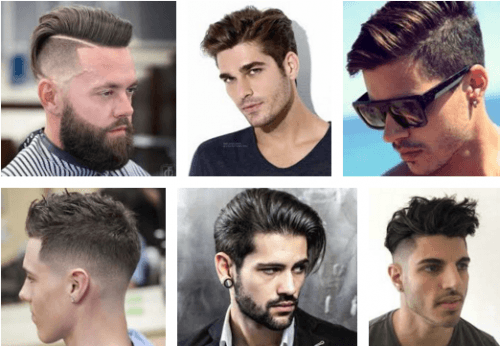 Make a choice from your array of hair products. 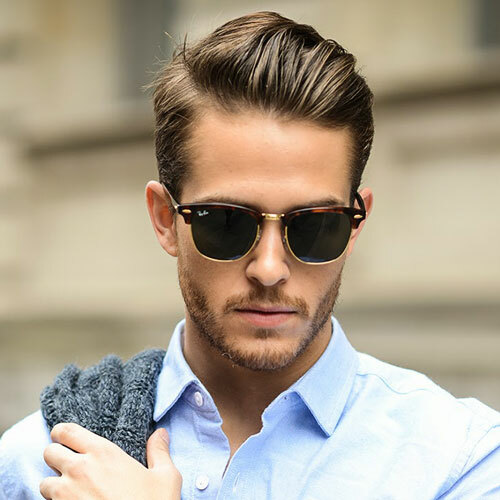 You can use the right hair product to slick back your hair if needed or to let the hair fall over your forehead if you want it to look cool. 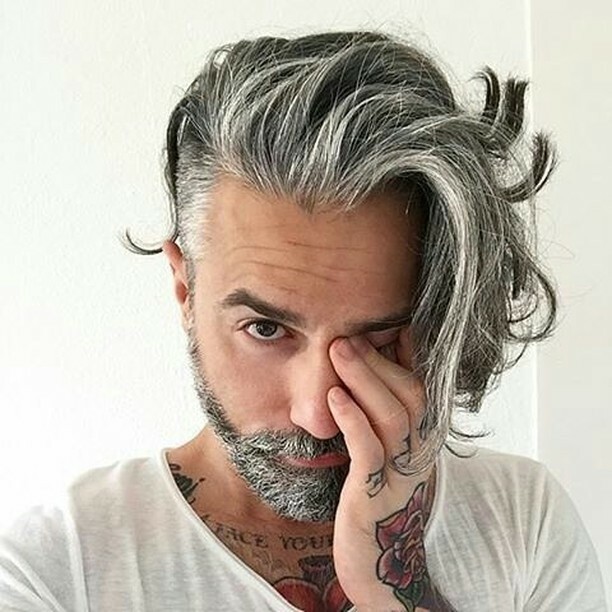 Allow your hair to dry. 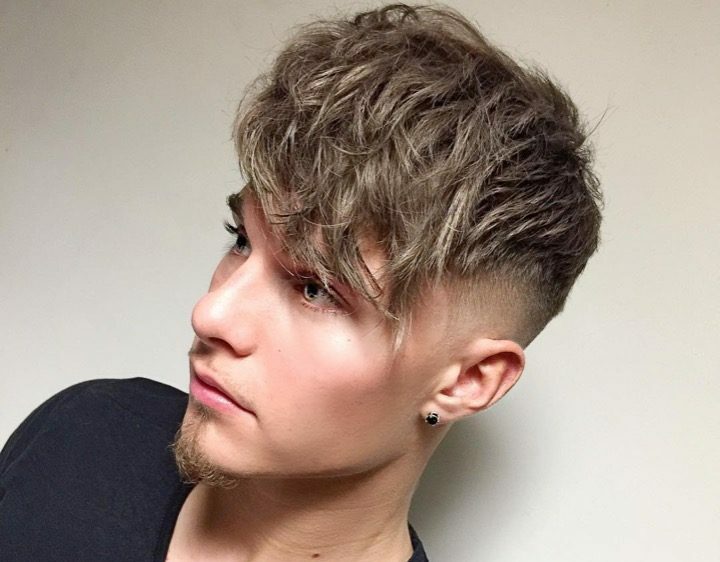 This hairstyle can highlight facial features such as strong chin line and cheekbones. 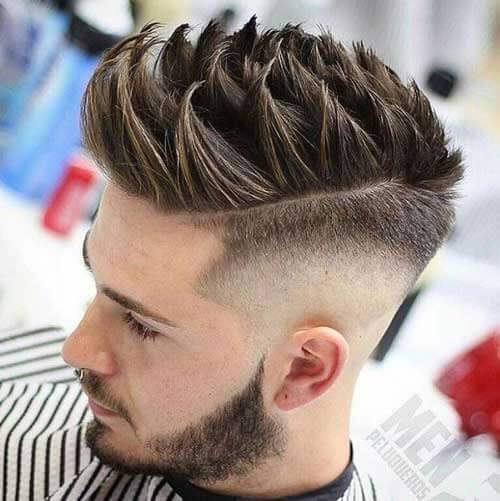 It is suitable for slim men with big foreheads. 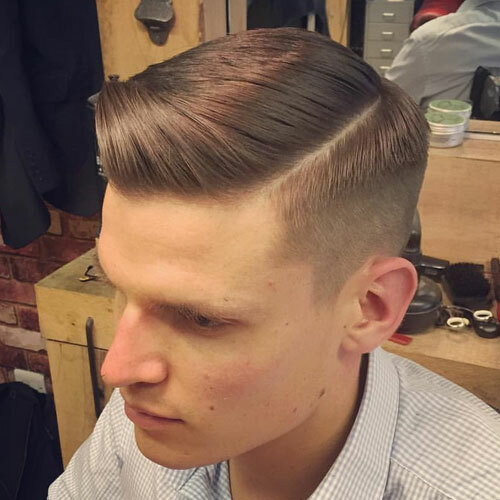 This hairstyle will make you look mature, smart and connotative. 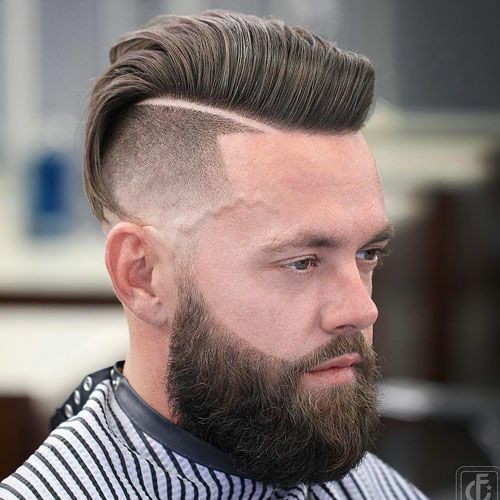 But it is not recommended for people whose hairline goes too far back. 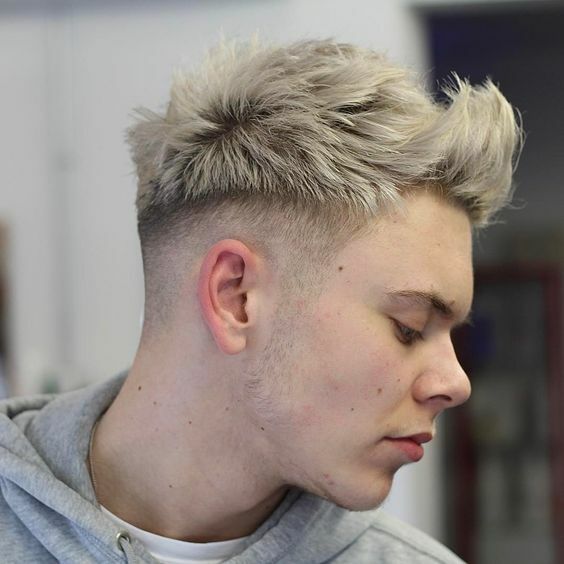 This cool and spiky comb-out haircut will make you look handsome and avant-garde.It can work with straight hair or curly top. 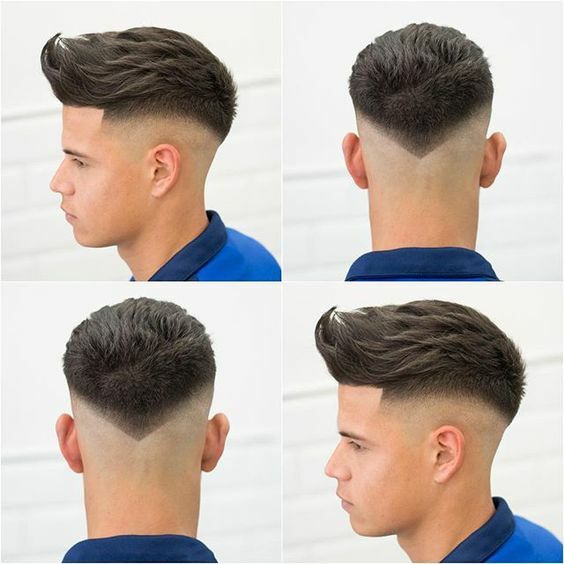 This shorter sides with medium length top haircuts will make you look professional. 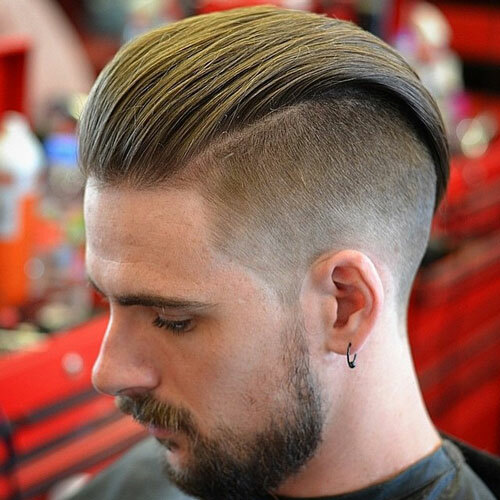 A contrasting hairstyle with tight corners and cool pomp. 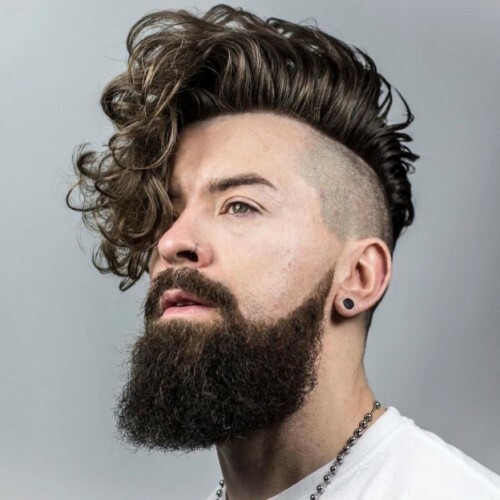 This hairstyle looks great for those having curly hairs, prominent jaw line and the cheekbones. 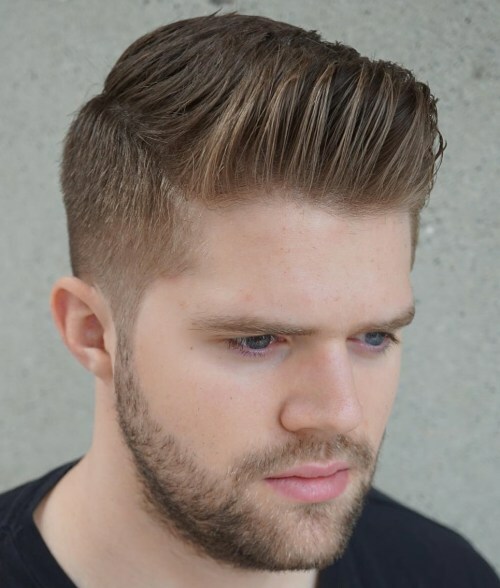 This is a modern short sides with long top hairstyles for men.It has a gorgeous and stylish style. 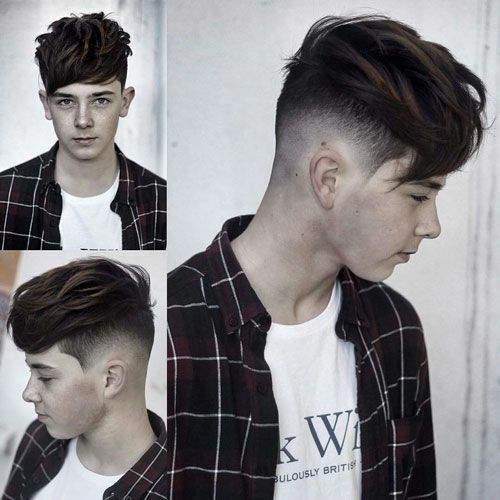 The hairstyle is a vintage short sides long top haircuts with short sides and top gradually becoming heavier. 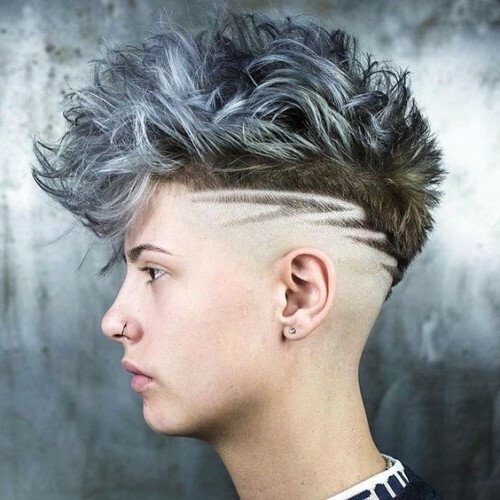 This medium-length hair can be naturally straight or straightened using a flat iron. 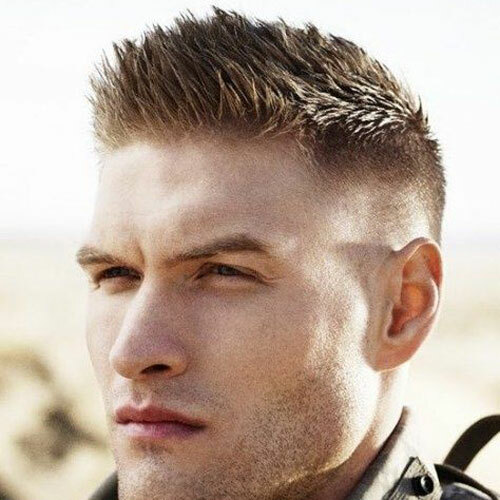 This haircut provides a handsome contrastthat will make you look stylish.